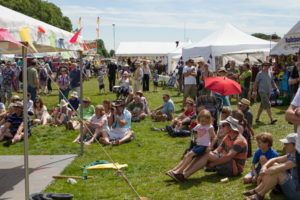 The festival has a range of craft demonstrations along with a carefully selected set of traders. These add colour and interest to the festival and it’s possible to spend hours browsing. We also have a healing corner offering a wide range of holistic therapies. Traditional Crafts such as wicker-work, weaving, thatching, blacksmith, wood turning, bee keeping and wall building are always welcome. Stalls who are demonstrating their crafts are encouraged to come to Priddy and will be able to take advantage of special rates.